Showing results by author "Amanda Lohrey"
From the Hillsong Church to the Family First Party, Australia appears to be experiencing an evangelical revival. 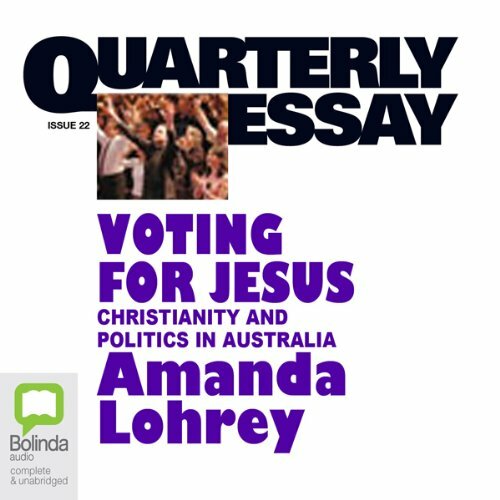 In the second Quarterly Essay for 2006, Amanda Lohrey investigates that revival - its shape and scope, and what it means for the mainstream churches and the nation's politics. She talks to young believers and analyses the machinations of the Christian Right. She discusses, with humour and insight, the appeal of the megachurch, the changing image of Jesus and the political theories of George Pell and Peter Jensen.